OUR OPERATIONS AND SUPPORT SERVICES EXTEND OUR REACH FAR BEYOND THE RED AND YELLOW FLAGS. Across Queensland lifesavers and lifeguards on the beach are supported by the Lifesaving Operations Support. These services are critical to our operation, patrolling dangerous and unpatrolled areas and helping guide people back into the flagged areas. Importantly Surf Life Saving Operations Support services have become a crucial development in surf rescue. The specialist skills set and rapid motorised response units, which are on call 24 hours a day, provide yet another layer of support in keeping our beaches and aquatic environment safe. To join the specialised Operations Support service you must first be a financial member of an affiliated Surf Life Saving Queensland Club. To join or for further information on each service, please click below. 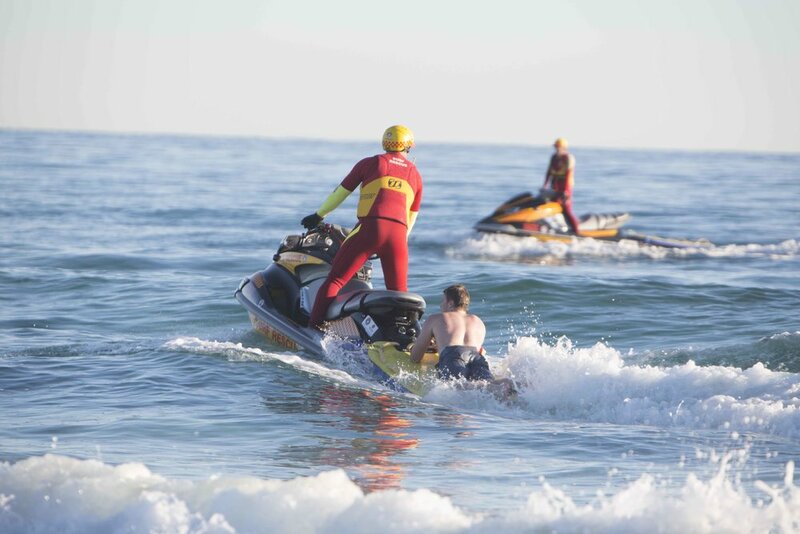 The Rescue Water Craft Operator or RWC (jet ski) service works closely with on-beach lifesavers to conduct roving patrols, surveillance and rescue missions along the coastline. As an RWC operator, you will use your training and skills to manage and operate this vital piece of lifesaving equipment to watch over and protect beachgoers. As a SurfCom Operator, you will play a key role behind the scenes, liaising with on-beach lifesavers and coordinating SLSQ’s response to coastal incidents, rescues and major first aid treatments in real time. You will provide an important link to emergency services and will be responsible for liaising directly with police and ambulance officers when required. You will also take charge of monitoring activity along Queensland’s expansive coastline using state-of-the-art technology, including GPS tracking and SLSQ’s wide-reaching network of coastal surveillance cameras. The Duty Officer role is a voluntary position, primarily performing rostered duty across SLSQ’s designated patrol season. The position is designed to use suitably qualified members to enhance delivery of lifesaving services across South East Queensland. Duty Officers provide vital support to surf life saving clubs and patrol captains each weekend, ensuring that services are rolled out effectively and efficiently across South East Queensland. As a Duty Officer, you will be responsible for liaising with a wide range of key stakeholders including clubs, patrol captains & their patrol groups, emergency service organisations, SurfCom operators, individual members and media outlets to ensure that beach-goers are offered maximum protection and the best possible outcome is achieved for all parties. SLSQ’s Westpac Lifesaver Rescue Helicopter Service is manned by both full-time and volunteer crewmembers. 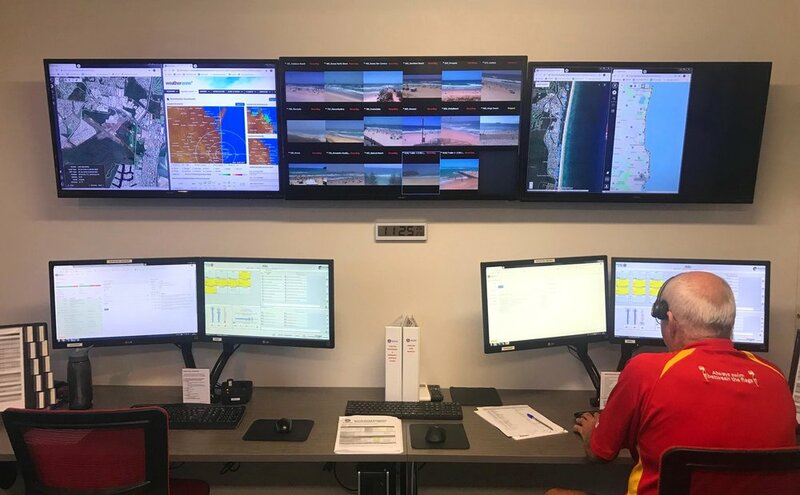 This structure ensures a rich blend of experience across the service, while also providing a clear pathway for volunteer surf lifesavers to upskill and transfer their patrol experience from the beach to the sky. Helicopter crewmembers are highly-trained, qualified and motivated members of the surf lifesaving movement. Helicopter crew can be both part-time or full-time, depending on the requirements of the service and the individual. Crewmembers actively and regularly participate in helicopter patrols along South East Queensland’s coastline, monitoring for swimmers in distress and/or other incidents unfolding on the beach. All crewmembers are proficient in surf jump/static line and basic down-the-wire hoist operations. This ensures they play a key role in helicopter rescues, entering the water to directly assist swimmers in need. The Emergency Response Groups (ERG) are designed to be an after-hours callout service to complement and support emergency services through our skills and equipment during times of need. In 2009 SLSQ signed a Memorandum of Understanding with the Queensland Government which can now see volunteer surf lifesavers tasked to assist with natural disasters, emergency situations and various other after-hours callouts. SLSQ now has established Emergency Response Groups operating in all regions across the state, providing vital assistance to emergency service authorities and agencies during times of crisis. SLSQ continues to directly work with the Queensland Police Service, Queensland Ambulance Service, State Emergency Service, Emergency Management Queensland, Queensland Fire and Rescue Service and Local Disaster Management Groups to develop key strategies as to how our resources and volunteers can best be used during emergency situations.